So it is just around the corner, my first ever solo exhibition. I am excited, nervous, anxious, happy, sad, relieved and all the rest. I hope that everyone is able to make it. 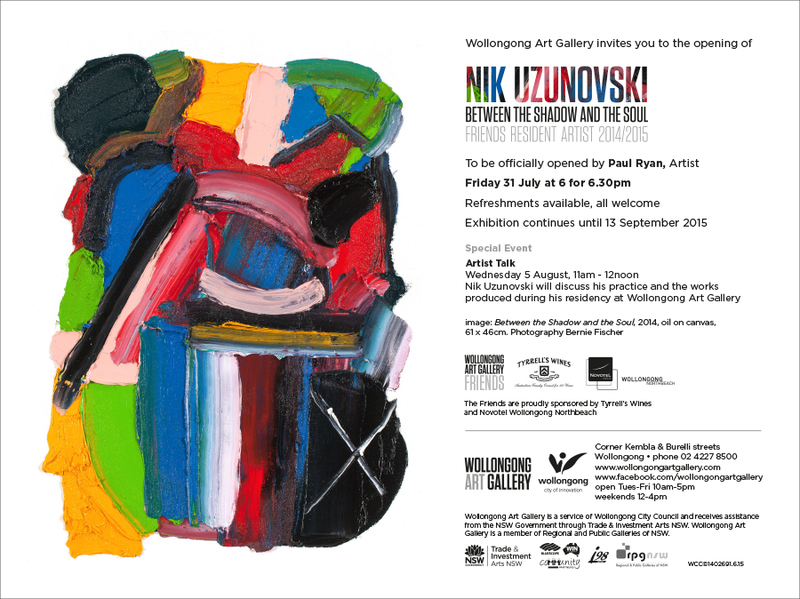 I of course understand that there are people who follow my blog who are from other countries and I am sure that you will be with me in spirit, for those who are in the state of NSW and more specifically the Sydney, South Coast and Illawarra areas I encourage you to come along to my exhibition and show your support for an emerging, local, young creative. Thank you. I made a YouTube video! Port Kembla Series. RAW Wollongong 3 Days to go! 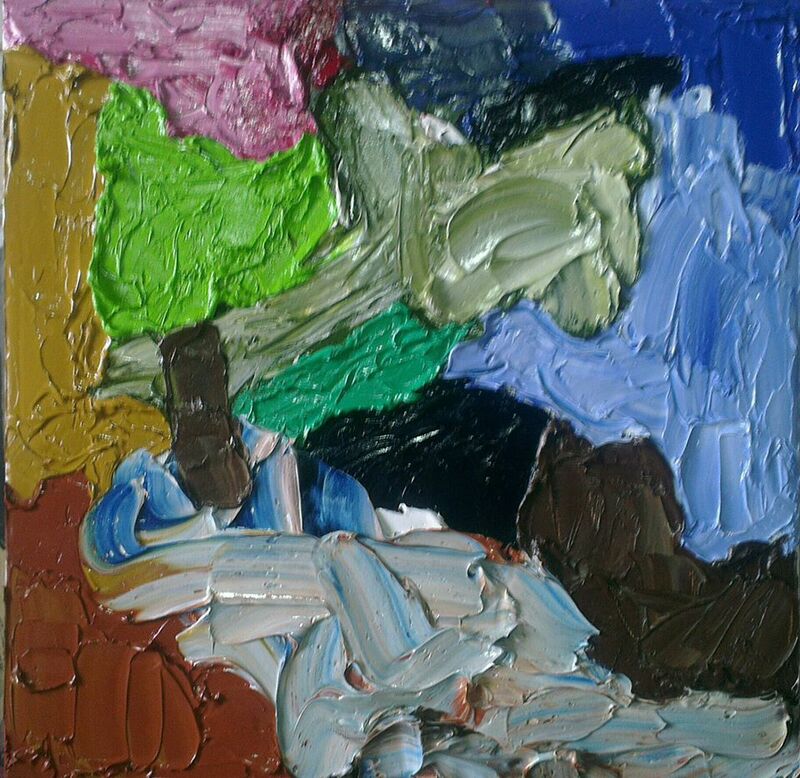 I have recently embarked upon a new series of small abstract/semi-representational compositions in oil paint. Using different palette knives I am creating works that are responding to the world around me; places, people, landscapes, objects, the seasons etc. These works are meant to go alongside my most recent works on paper. Working in acrylic, ink, oil pastel and charcoal on paper differs from working with oil paint only so much. My work is about the gesture, the energy and movement. 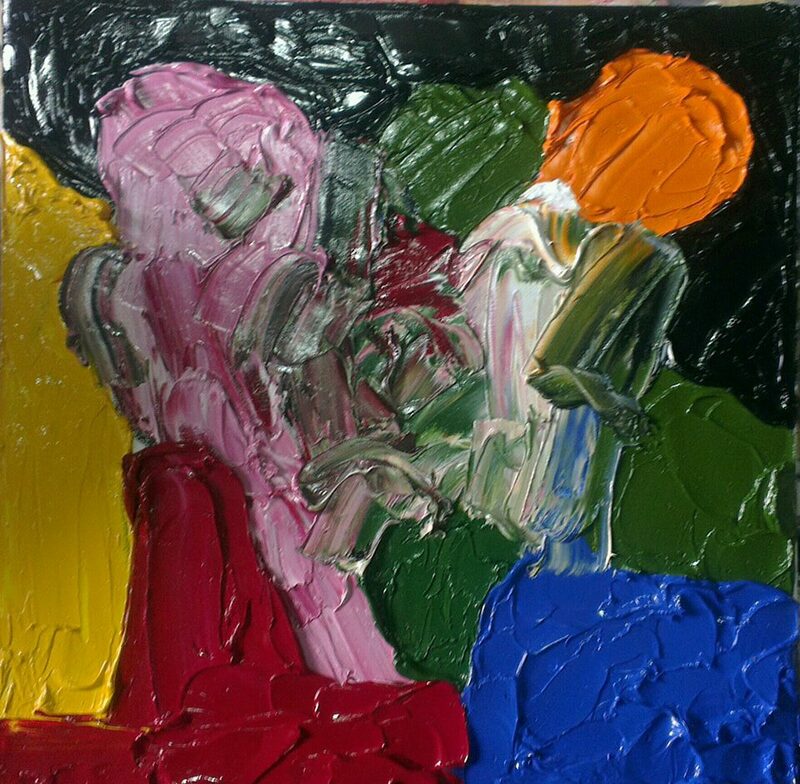 It’s about recounting a particular experience; embedding my thoughts, feelings and emotions into the work with expressive, but controlled movements of the palette knife, brushes, charcoal, oil sticks etc. These latest works are my way of pushing my current work into different paths, seeking out the potential of different results. The images below are only progress shots, as the works may change; some more dramatically than others. I will aim to make another post about these particular works once I have more completed works. I should also mention the format I am working in and the reasoning behind it. 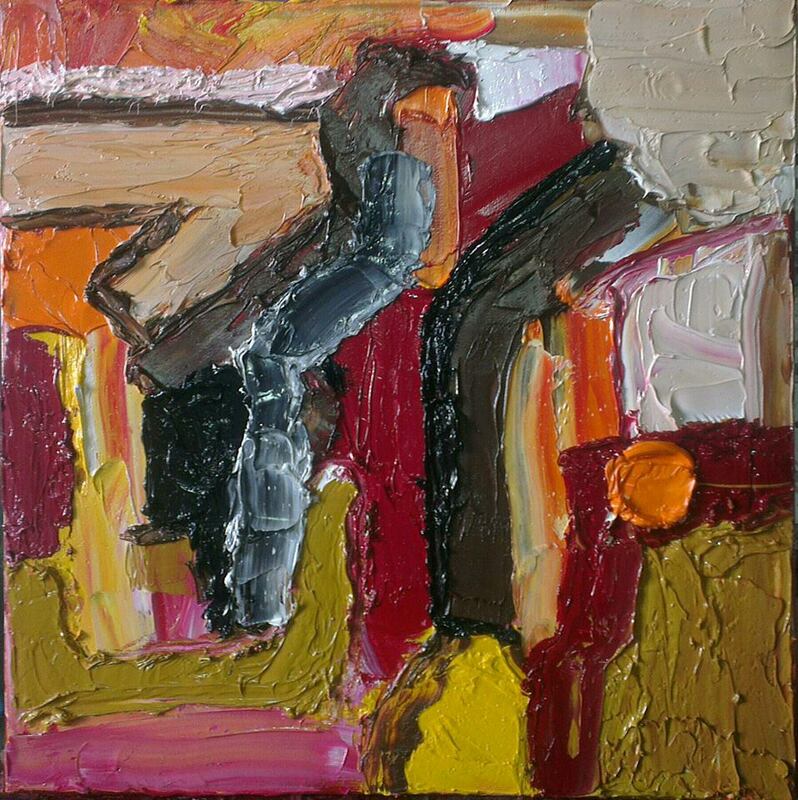 The format is square, 31 x 31cm. One of the main reasons behind working in this format is because I found some ready made frames that would suit this size of canvas. 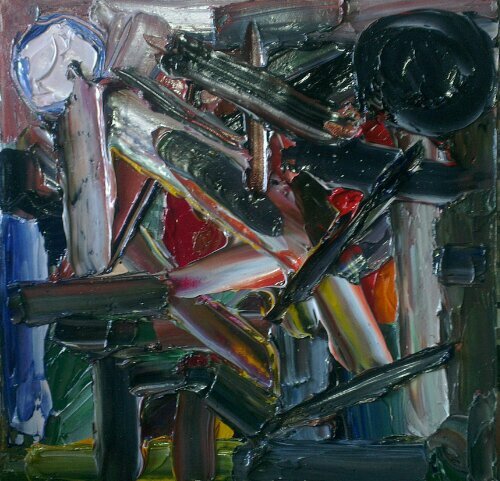 Also the square format forces me to approach painting in a different way, everything has to be considered, every mark and every gesture must be thought through, not to say that I don’t do this with other works in different formats, it’s just that the square format is forgiving in some way and ruthless in others. Well enough jibber jabber from me, I hope that you enjoy the images below.